An Atlantic City man pleaded guilty Thursday to a deadly 2015 motel shootout. 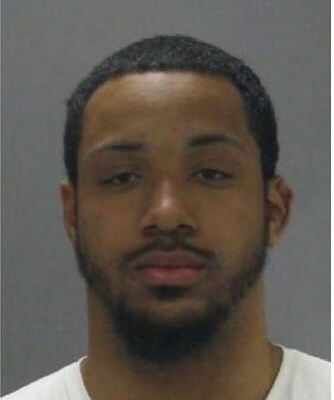 Diante Owens, 22, of Pleasantville, and Gerald Alvarez, 22, of Mays Landing, were found dead inside a room at the Red Roof Inn in Absecon just before 5 a.m. March 1, 2015. Donnell Nicholas, 25, pleaded guilty to aggravated manslaughter Thursday. He was the last of four men arrested for felony murder in the case, but the first to plead. The plea deal is contingent on his co-defendants pleading as well. If they go to trial, the state can withdraw from the deal with Nicholas. Nicholas, who was struck in the exchange of gunfire, went to the hotel with Brian Bennett. Aaquile Reeves and Tywan Dixon in a robbery attempt, according to the charges. But the intended targets also had guns. Owens and Alvarez were left behind as the groups fled the motel in the exchange of gunfire. Nicholas and Zackery Geckeler, 22, of Galloway Township, were taken to the hospital in separate cars. One of those cars belong to Owens’ mother, who later found her empty car idling outside her Pleasantville home. There was blood inside but she didn’t know where her son was until learning he had died at the Red Roof Inn. Because Owens was allegedly involved in the initial crime, no one is charged in his killing. Nichols pleaded guilty to aggravated manslaughter in Alvarez’s death. He faces 15 years when he is sentenced Feb. 28. But his attorney, Ed Weinstock, will argue for 12. Any time would include a mandatory 85 percent before parole eligibility under the No Early Release Act.